This program is cancelled for tonight!!! Due to illness the presenter is unable to be here. We will re-schedule and announce the new date. 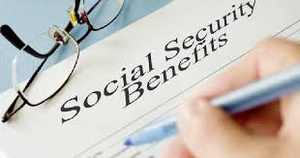 Do you have a Social Security benefits strategy? Many Americans think Social Security is simple and straightforward; often it is not. The recent bipartisan budget act made some significant changes to Social Security laws about claiming retirement and spousal benefits. Making a mistake when selecting your benefit option can cost thousands or tens of thousands of dollars over the course of retirement. Consequently, it's a good idea to talk withe experts in the field, gather information you need, and make informed benefits decisions. Presenter Robert Leitner will show you strategies for maximizing your Social Security benefits. Registration is required; please register on our online calendar or call 914-232-5717.